D/C Mike O'Shea, a young cop with a knack for working hard and following hunches, is on the verge of cracking a prostitution ring when an undercover from another unit burns him. With only days left before their pimps shuttle the girls out of the country, Mike pushes his team into overdrive. Hours later, with too little information, sleep, or luck, the unthinkable happens.And now, the chase is pers… onal.In the first of the Mike O'Shea Crime Fiction Series, 10-33 Assist PC draws us into the dirty world of human trafficking through the eyes of the cops who put their lives on the line every day to shut it down. 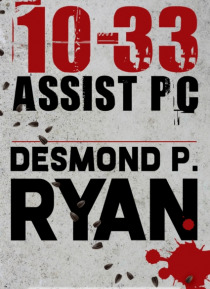 Written by a Real Detective, 10-33 Assist PC is the story of a cop who must decide how to move forward without forgetting the past.Real Detective. Real Crime. Fiction.